BRENTWOOD, Tenn.–(BUSINESS WIRE)– Reliant Bank has announced the addition of Richard Stone as Senior Vice President, Rutherford County Market President. Stone will guide Reliant’s expansion into the Rutherford County market and serve as the executive face of the brand. Stone is a senior banking professional with 20 years of experience in the financial services industry. He is steeped in customer service attributes with strengths in relationship development, financial structuring and creating operational efficiencies. Community banking, commercial banking and wealth management are specific areas of expertise. In addition, Stone is a community development advocate – currently serving on the Leadership Middle Tennessee Board, MTSU National Alumni Board, Murfreesboro Electric Department Board, and the United Way of Rutherford and Cannon Counties Development Committee. “As a new bank in Rutherford County, we recognize the importance of bringing a strong community-focused leader on board. Richard’s extensive skillset and experience make him an excellent addition to Reliant’s leadership team. 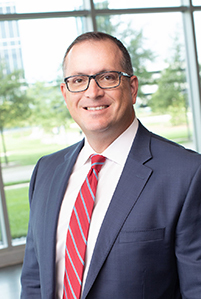 His connectivity and knowledge of the local market will be a key driver in achieving growth initiatives,” said John Wilson, Executive Vice President and Chief Loan Officer of Reliant Bank. Before joining Reliant, Stone worked with JP Morgan Chase & Co. in their Middle Market Banking and Specialized Industry group – working with companies of varying sizes and complexities, from small family-owned businesses to large publicly-traded companies. He previously served as Senior Vice President for Avenue Bank prior to their acquisition by Pinnacle Financial Partners.